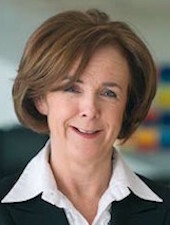 Maria Mulcahy is the CEO of the Iris O’Brien Foundation and the Irish-based Head of Philanthrophy for the Digicel Group. She was involved with "People in Need" from 1988 to 2000. She was responsible for organising the RTE telethons, which raised €28 million. She was Director of Fundraising for the 2003 Special Olympics World Games.